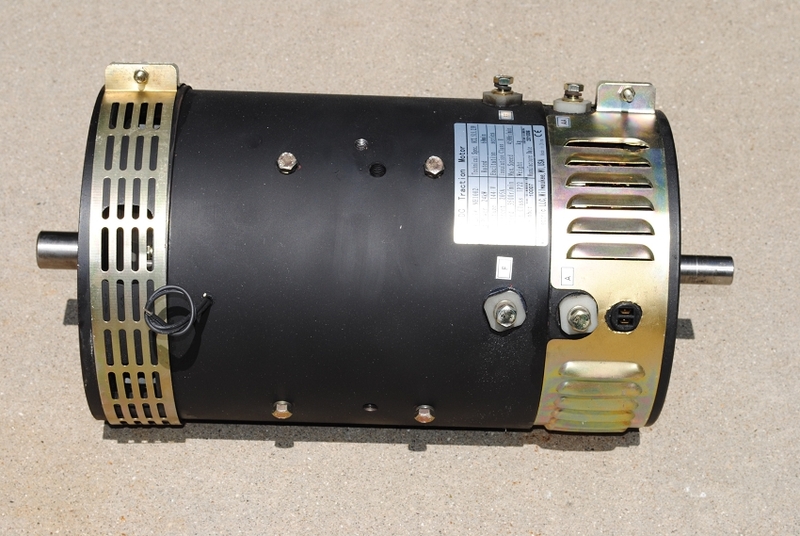 · The M102 is a 10-inch DC-Series motor capable of a continuous current of 200 amps, and 550 amps for 2 minutes. · Efficiency up to 93% for your M102. · 26 KW (35 HP) continuous, and 63 KW (84 HP) peak with your M102. 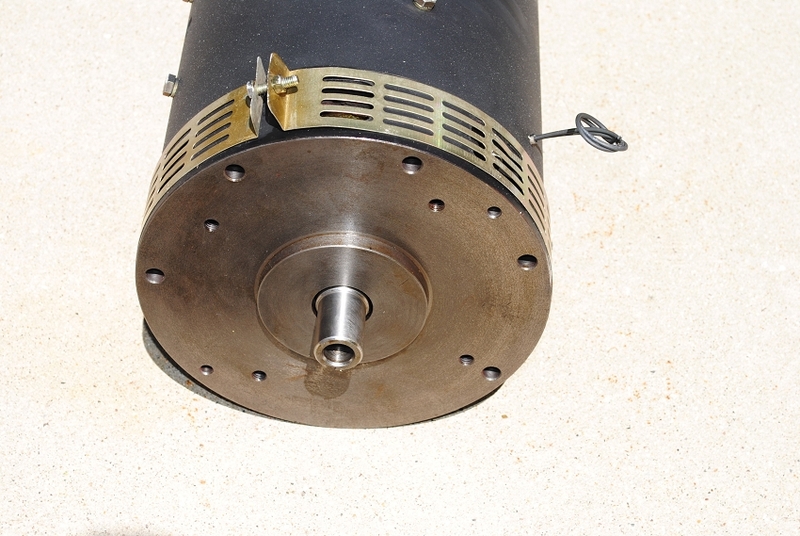 · The M102 Motor Weighs 190 pounds. Motor in the shipping crate is 203 Pounds. The motor is shipped on a pallet measuring a total of 48 x 40 x 30, weighing a total of 240 pounds. · 1 year manufacturer’s defects warranty for your M102. Data at 72 and 144 VDC is estimated for your M102. Data at 48 and 90 VDC is actual data taken on a Dynamometer using a hard (constant) voltage supply for your M102. 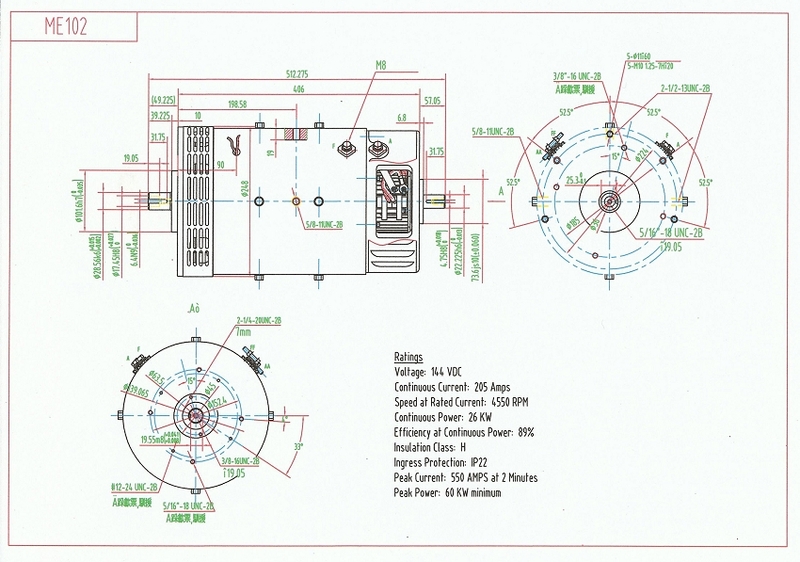 There are 2 ways to get an exact quote for the base shipping for your 48V, 72V, 90V, 144V, 550A, DC M102 Motor order. We’ll research the exact shipping cost and send you an invoice to your PayPal or email or you can add it to your pallet in $1 Shipping Increments for your 48V, 72V, 90V, 144V, 550A, DC M102 Motor order.